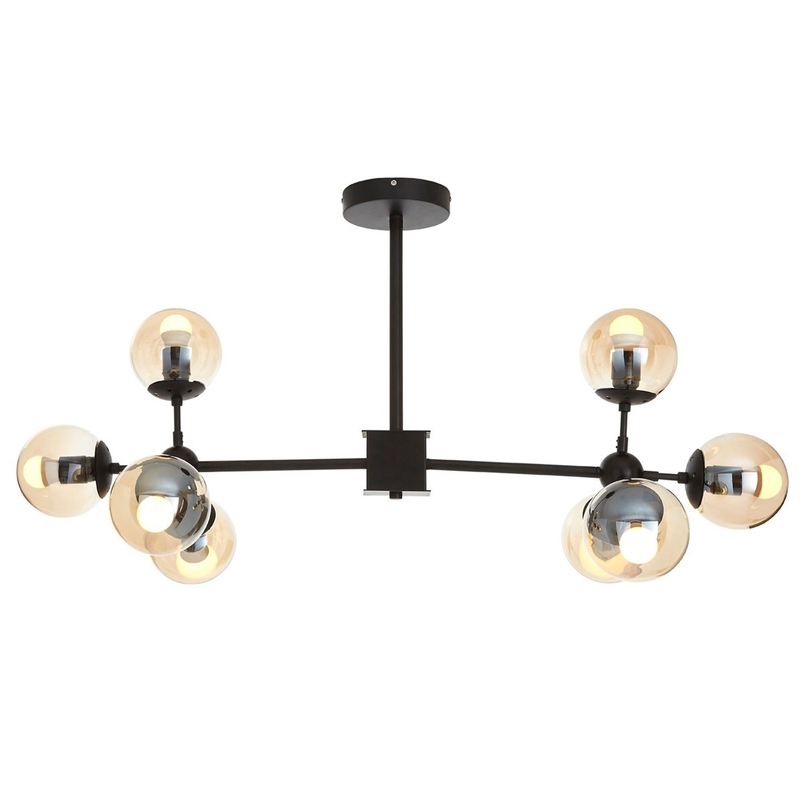 Make your home feel a lot brighter and complete by introducing this lovely Black Abira 8 Bulb Pendant Light. This pendant light contains a very modern design that'll be sure to create a contemporary atmosphere in any home. The geometric split and pattern of the 8 bulbs creates a very interesting lighting effect that would look wonderful in any home.